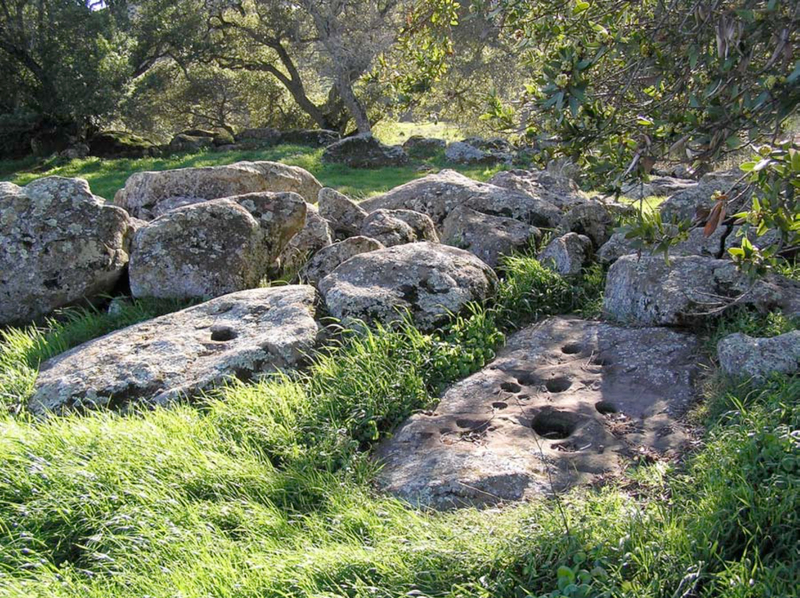 This village site features the largest known concentration of bedrock mortars and visible house pits in the San Francisco Bay Area, but that only begins to hint at its significance. 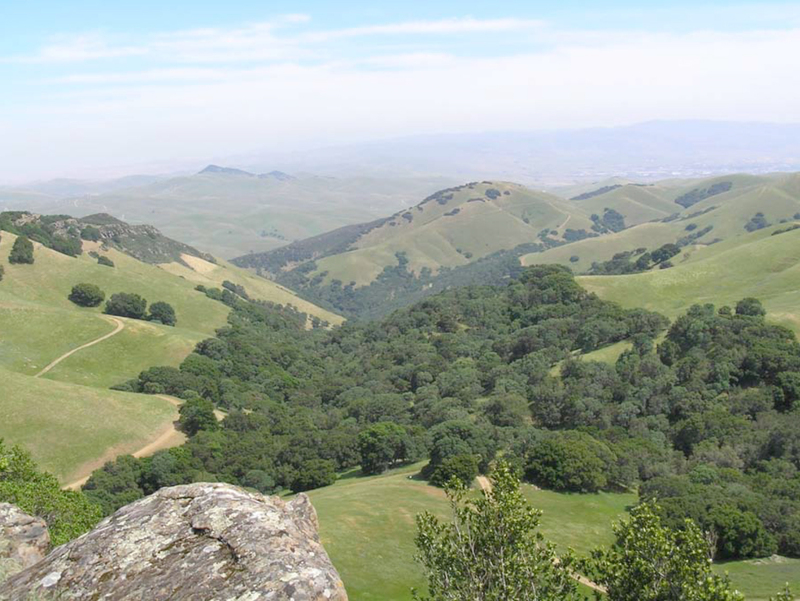 The Volvon tribal territory in the Black Hills SE of Mount Diablo was known throughout central California as the home of the First People, the spiritual and metaphysical forefathers of all the Indians. The 9,000 year old Los Vaqueros Man was unearthed 3 miles down the hill from this site. 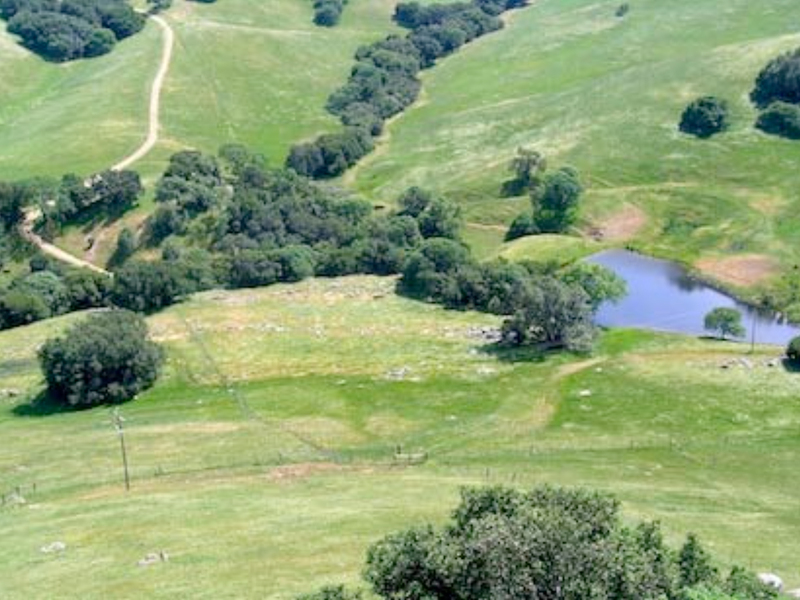 The Brushy Peak trading grounds, within view, were possibly the most frequented in central California, bringing traders from all the tribes to the foot of the mountain. The cosmopolitan atmosphere would have been unrivalled. The fact that 5,000 year old DNA connections were made between a skeleton and a living Indian in Monterey (Breschini/Haversat 2008) suggests that the stability of the prehistoric populations in California may have been more extensive than previously recognized, and that the same group of Indians may have inhabited Volvon territory for that long or longer. Despite evidence we have discovered of over 1,700 bedrock mortars at 50 plus sites around the Black Hills, appreciation and understanding of the importance of this tribe in California prehistory appears to be limited. This village is a vital and accessible link to the past as well as an archaeological laboratory waiting to open. The primary stakeholders can work together to come up with management plans that will address the issues facing them, including access for the general public. 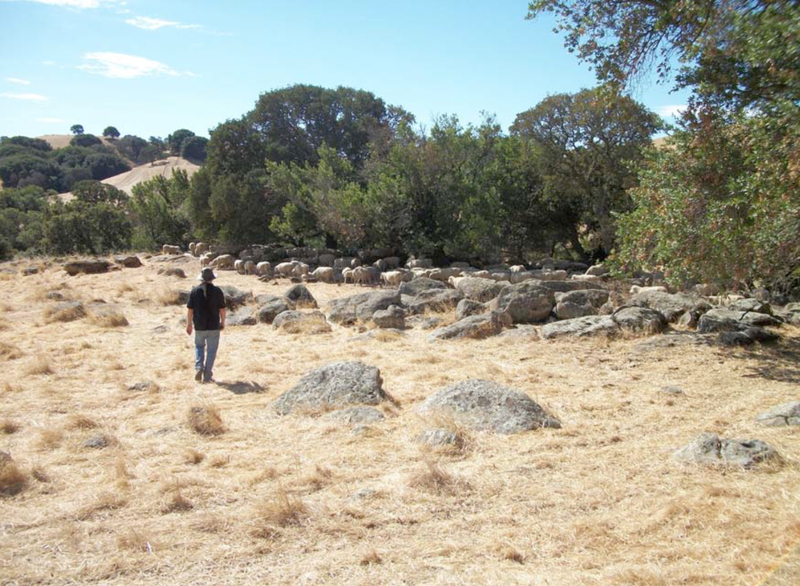 The main Volvon village at Morgan Territory provides a distinct opportunity to re‐enliven a dormant Indian habitation site and, in terms more graphic than any textbook, illuminate the actual living environment of a 9,000 year old California Indian village situated between the most heavily used trading grounds and ceremonial sites in pre‐Spaniard central California. This location was used by the ancestral inhabitants of this land because of its unique geographical setting, and the abundance of fresh year round spring water. Except for a couple of phone wires and fences, a cow pond and 2 dirt roads, the physical terrain of the site remains exactly as it has been for thousands of years of human habitation. It appears to have never been excavated, examined, or acknowledged in any positive way. This site will soon be recognized as a sacred and restorable link to the history of this land and its people, which we all now share. 1. 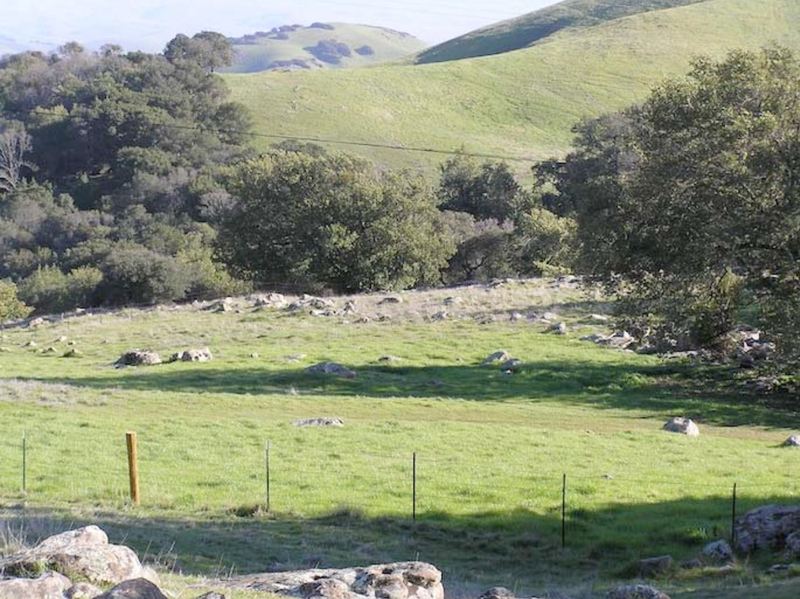 Recognize the value and significance of the site, which already lies protected by Los Vaqueros Watershed and EBRPD Park lands. 2. Remove all evidence of the modern world, i.e. phone wires, barbed wire fences, dirt roads and the cow pond, and allow the site to re‐vegetate naturally, removing non‐native plant life and encouraging native plant regeneration. 3. Recreate, using native materials, portions of the village to the best of documentable and imagined accuracy, to include willow and reed housing structures, granaries, and food processing and preparation areas. 4. Bring small groups through the living village on guided tours and overnight seminars that will allow them to get in touch with the importance of the native culture and life experience, and what it can teach us. Following official recognition of the importance of the site, I will offer to organize and manage an all‐ volunteer effort to remove some of the barbed wire fences that are no longer in use. Simultaneously I will establish a monitoring group that will assess public impacts on an ongoing basis. Easier access over or through the boundary fences should be addressed. Longer term we can consider how to remove or bury the phone lines, remove other fence lines, and re‐sculpt previously bulldozed roads. 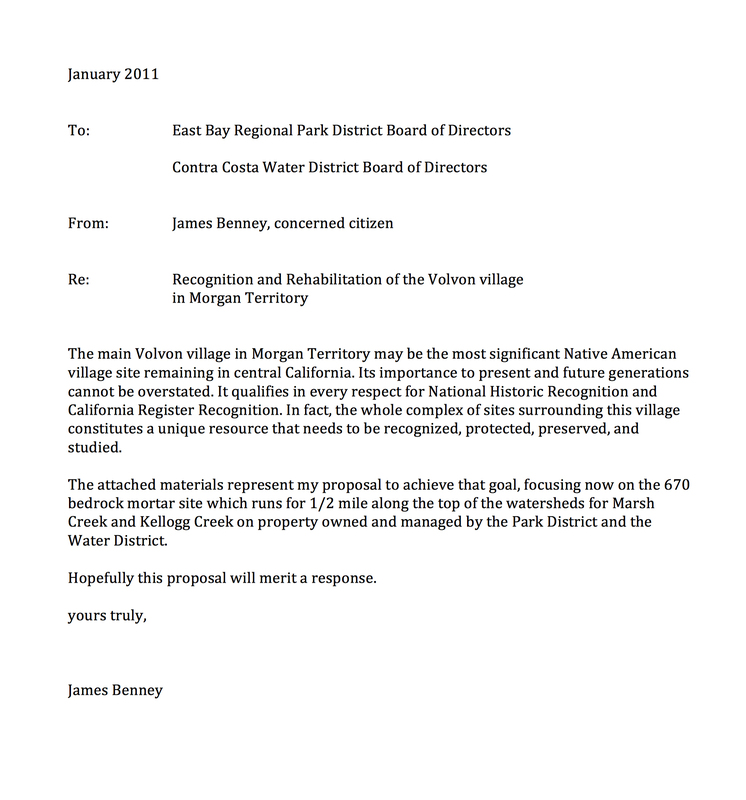 If the archaeological community, Park and Water Districts, and concerned Native Americans can come to some sort of agreement and understanding, and if there is funding of some sort, scientific research into the hidden secrets of the Volvon could begin in earnest at any time. Meanwhile, when there is enough interest, work can begin on some serviceable shelters and removing non‐native vegetation. This early process will take many years to develop. How one ranks the relative importance of the various stakeholders will depend on ones point of view. They include: the general public; the agencies that manage the land for the general public; and the Native Americans whose village site it originally was. Due to the complete extirpation of the Volvon tribe from their homeland by 1806 and their absorption into the Mission and later Rancho systems, actual Volvon descendants may be hard to find. 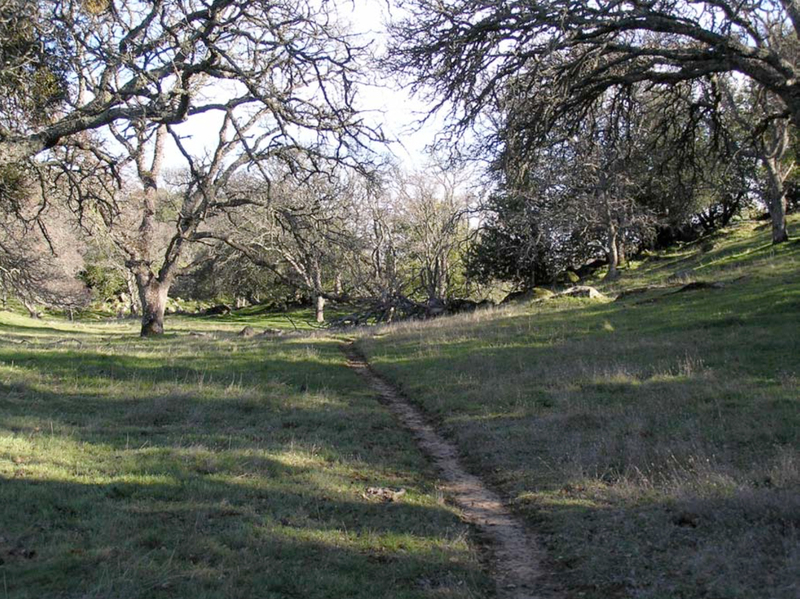 However, because of the spiritual resonance of Mount Diablo, many tribes (both federally recognized and otherwise) may have an interest in the recognition, preservation, and rehabilitation of the Volvon village. Does It Need Special Protection Now? Criminal pothunters should be apprehended and prosecuted to the fullest extent of the applicable laws, which should be strengthened. However, any damage they might do pales in comparison to the bulldozed roads that already cut through the main village. Visitors can be taught to respect the site and disrespect diggers. The main village spans 1/2 mile but could be easily monitored with hidden cameras. So much untouched archaeological material lies just below the surface that there will never be a lack of pristine evidence for archaeologists to study, even if the site was overrun. The number of hikers we see in the East Bay hills is small on many weekend days. A mild increase in the numbers would have only a limited impact. The number of avid hikers even tangentially interested in Native American sites is far fewer. There will be plenty of time to adjust to the slowly growing traffic patterns. At present, it is hard to imagine people on foot doing more damage than the sheep and cattle and vehicle traffic are doing now. 1. Recognize the unique importance of this particular site. 2. Allow a small group of volunteers to begin removing some of the unnecessary barbed wire fencing. 6. That have yielded or may be likely to yield information of major scientific importance by revealing new cultures, or by shedding light upon periods of occupation over large areas of the United States. Such sites are those which have yielded, or which may be reasonably expected to yield, data affecting theories, concepts and ideas to a major degree.